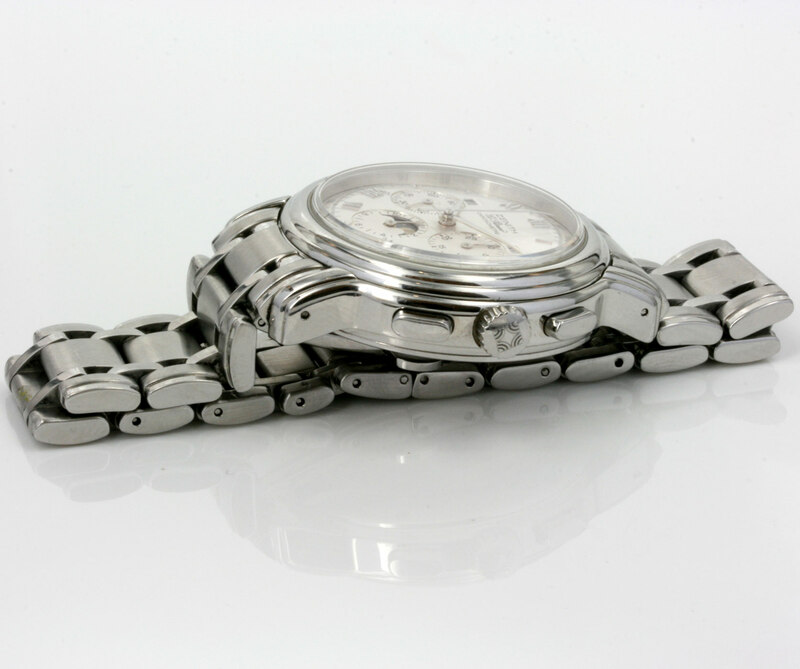 Product code: ES1767 Categories: Sold Items, Sold Watches. 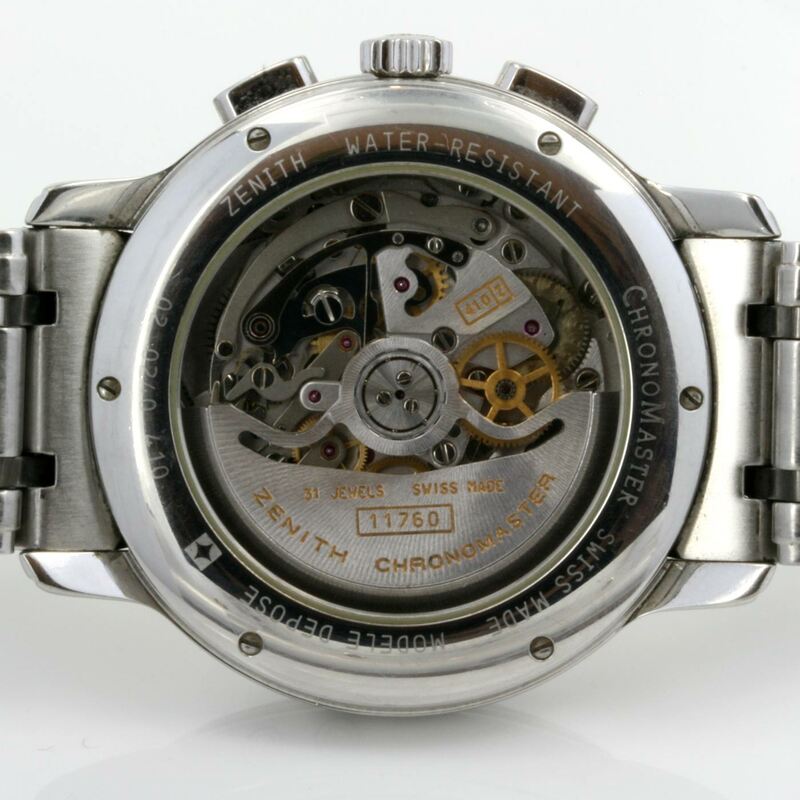 Zenith watches are one of the most respected watch companies around and the Zenith El Primero is regarded as one of the finest chronograph movements ever made. So good in face that it was used in the Rolex Daytona watches for many years. Information taken from the Zenith website states that to make the Zenith El Primero takes 9 months, 20 watchmakers, 5,500 operations, 50 milling operations on the dial side, 77 other milling operations on the bridge side, 5 to 50 operations per component and finally 18 different metals in the classic version! And the Zenith El Primero that we have here is the El Primero model 02.0240.410 with Triple Date and Moonphase, plus Exhibition window case back. The stainless steel case measures 40mm plus the crown and is protected by a scratch resistant sapphire crystal. Complete with box and papers, this Zenith El Primero is in fantastic condition and of course keeps impeccable time thanks to its Chronometer rated Zenith calibre 410 31 jewelled automatic movement. With full chronograph functions, moonphase and date, the Zenith El Primero really is one of the best of the best.